One of the most beautiful things about spirituality and specially mysticism is that it tanscends the boundaries of faith and 'so called distinctions'. A Zen master or Sufi Master or a Kabbalist or a Benedict Monk or a Yogi doesn't need any arguments on any matter, simply because deep within their heart, they already know that they are all immersed in the same Reality. They already know that a Jewish Kabbalistic spiritual practice or a Sufi Quranic meditational practice is nothing but the same pathway to the One, to the Divine. Praise be to God, i was guided to this Jewish meditation website where i found few beautiful Jewish meditation audio or guiding words, accompanied with beautiful music - which are truly amazing. Each meditation audio is about 6 to 10 minutes. i hope & pray they illuminate your heart from within. Meditation on Divine Space: The Meditation Cube is a model for mentally orienting oneself within a space whose parameters are defined by the six commandments that continuously govern our relationship to God. View the cube and its description here. i love this one! Meditation and Breathing Joy: With every breath, I feel Your presence. With every breath I express my infinite gratitude to You and Your gift of life. Meditation on Motion: The Soul of Man is the Candle of God. The living soul of man, the candle of God, sways back and forth, always aspiring to return to its Divine source, the infinite light of God. The above meditations are available in written form in "Living in Divine Space," a 288 hard cover book on Kabbalah and Meditation by Rabbi Yitzchak Ginsburgh. Know about the book here. 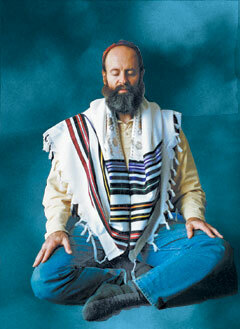 Also read Topics in Jewish Mystical Thoughts.